Hi everyone! 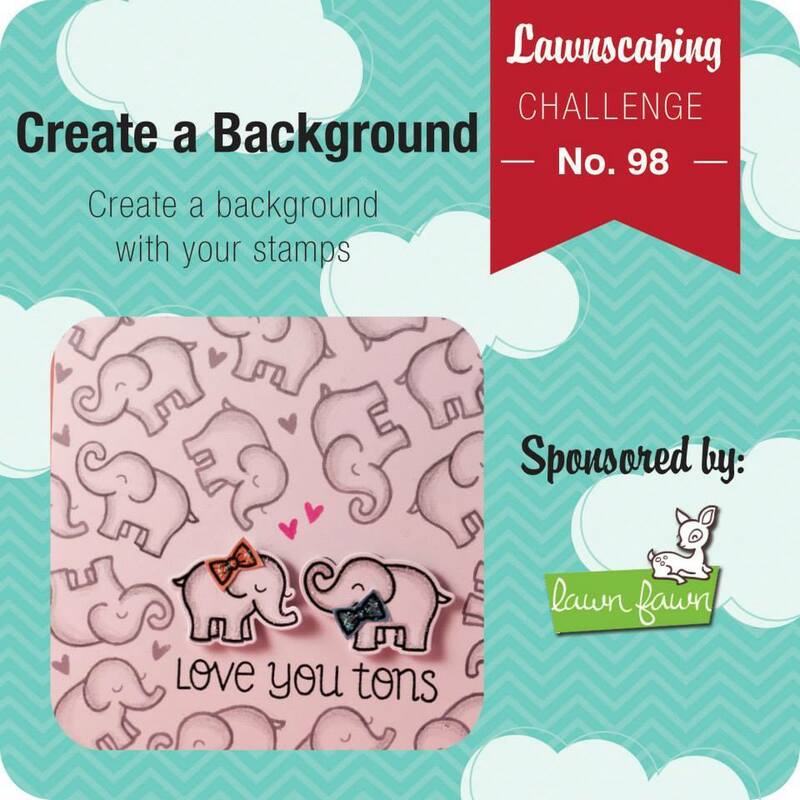 Welcome back to my blog :) Today I'm sharing with you a card for the new Lawnscaping Challenge. This is probably one of my favourite challenge because the theme is Create a Background. If you've been following me, I love doing this. You can do any Lawn Fawn stamps to create your own background. The option is limitless. For this card, I used the Penelope's Blossoms stamp set. The flowers are so adorable and I started with some brown inks to set the background. To fill up the space and brighten up the card, I took some Hero Arts Inks. I wanted the card to have a border to tone down the business of this background. I took my Stampendous gold glitter embossing powder to create the border. Absolutely gorgrous background! Love the banner sentiment, sweet! so very pretty! Love all that stamping!